Only two of the top 10 occupations in Ohio actually pay their employees enough to afford a modest two-bedroom apartment, according to a report released Wednesday. Ohio’s housing wage increased again this year to $15.25 – the hourly amount renters need to earn to afford the rent for a basic, two-bedroom unit, according to a report jointly released Thursday by the National Low Income Housing Coalition and the Coalition on Homelessness and Housing in Ohio. 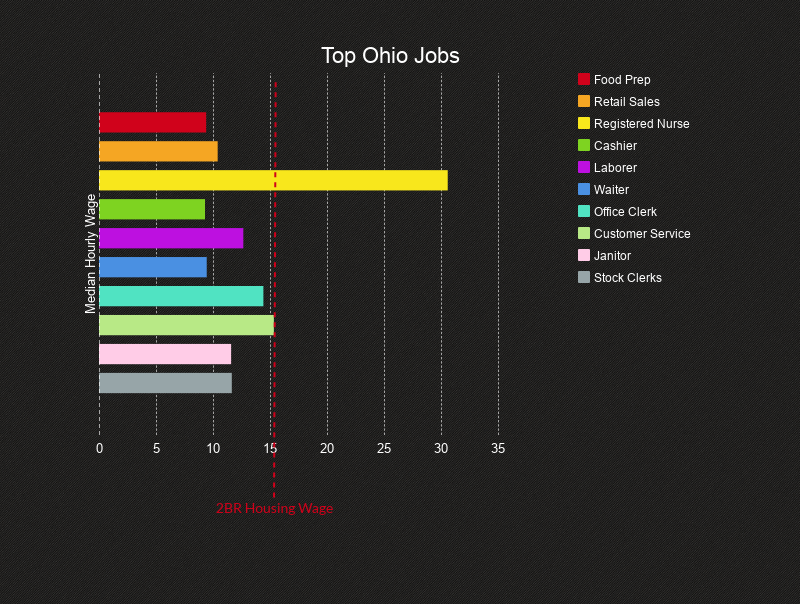 Of the 10 occupations in Ohio with the most employees, only registered nurses and customer service representatives earn more than the two-bedroom housing wage. 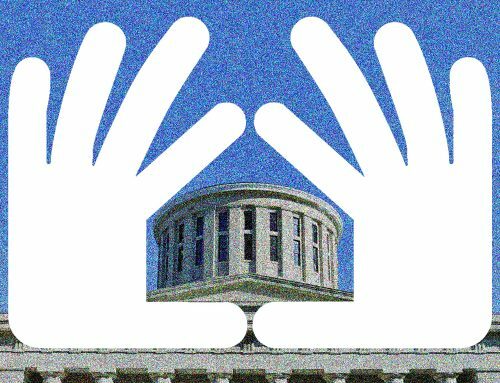 The median wage for nurses is $30.59/hour and $15.34/hour for customer services reps.
“Ohio’s economy is recovering and our state has added new jobs in recent years. But the lack of affordable housing is a real barrier to continued growth when so many people holding these new jobs can’t afford a place to live. Just like home is essential for family stability, housing is the foundation of our economy,” said COHHIO Executive Director Bill Faith. 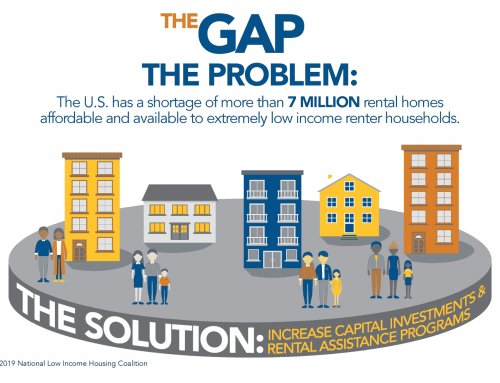 “The affordable housing gap is bad enough for working families, but it’s even worse for people with disabilities, homeless veterans, and those struggling to recover from mental illness and addiction issues. That’s why we need state and federal leaders to step up and expand access to affordable homes,” Faith added. 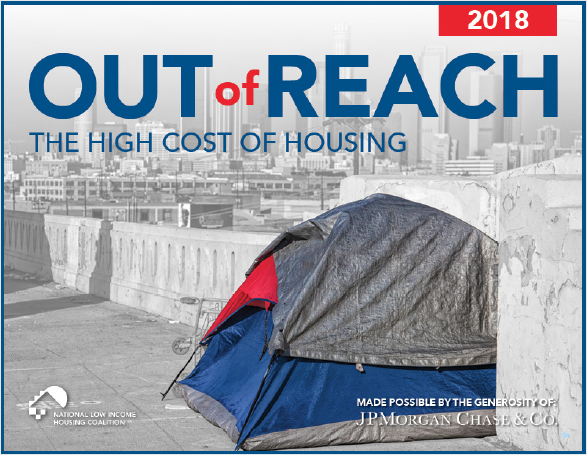 Every year the Out of Reach report updates the Housing Wage, an estimate of the full-time hourly wage that a household must earn to afford a basic apartment at fair market rent without spending more than 30 percent of income – the federal standard for housing affordability. In addition to the statewide average, the report includes data for each county and metropolitan area. The average renter in Ohio earns $13.32 an hour, nearly $2 less than the hourly wage needed to afford a modest two-bedroom rental unit. Workers earning minimum wage of $8.30 an hour would have to work 74 hours per week throughout the year to afford a two-bedroom apartment. Diane Yentel, president and CEO of the National Low Income Housing Coalition, said low wage workers often have to choose between paying for rent, health care, childcare, and other basic necessities. Faith applauded recent news indicating U.S. Department of Housing and Urban Development Secretary Ben Carson has backed away from the administration’s plan to triple the rents on the poorest Americans with rental assistance.